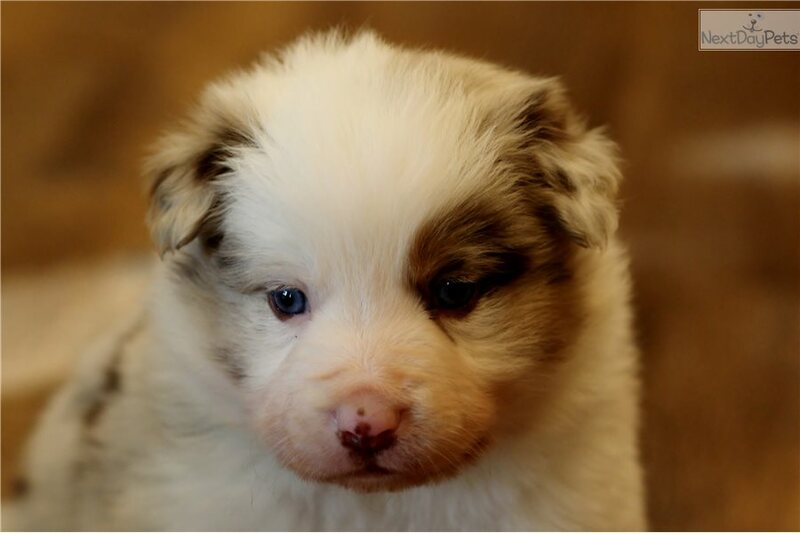 This Border Collie sold and went to a new family. Our Border Collies are part of our family. Bear is being raised on our family farm where we are making sure he is getting the best of care. Our puppies are raised to be confident and well socialized. 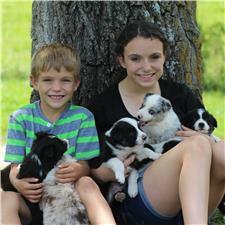 We feed all of our Border Collies "Taste of the Wild" dog food and our puppies "Taste of the Wild" puppy food. They are eager to please and learn very quickly any challenge presented to them. They are faithful and loyal and you can not ask for better companions. We have a 10 year old boy who makes sure all the puppies get played with every day and they love to play in the yard with him. Our 16 year old daughter gives them plenty of love and guarantees they get equal amount of holding time. We firmly believe that the foundation we provide for the first 8 weeks or so of the puppies lives prepares them to be successful in their new families where they will adapt easily. Bear will be doggy door potty trained. Bear will be taken to the vet at 6 weeks of age to have a head to toe puppy wellness check and his first set of vaccinations. All of our Border Collies have been tested CLEAR of CEA and the mother has been OFA tested.